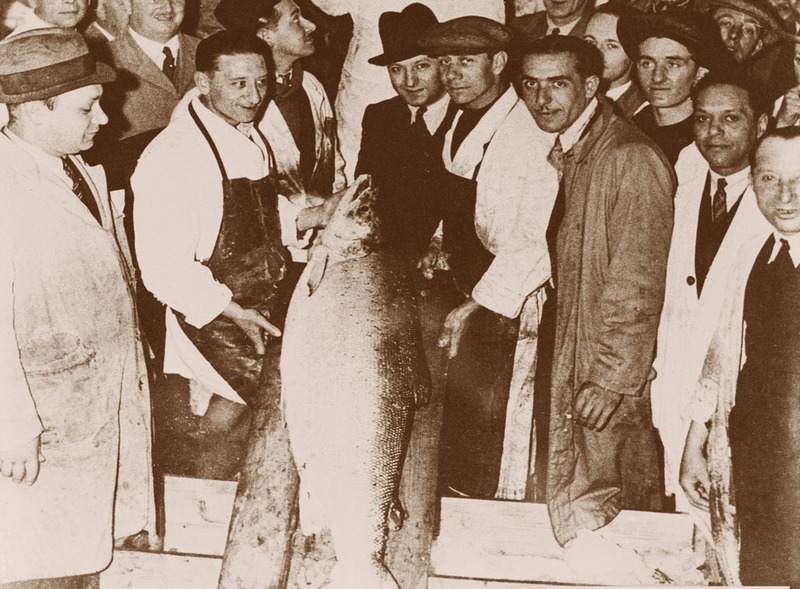 When Harry (Aaron) Forman arrived in London’s East End from Russia at the beginning of the last century he pursued the trade he knew best – curing fish; in particular, the salmon he imported in barrels of brine from the Baltic. It wasn’t long, however, before he discovered a rich source of fresh wild salmon much closer to home: Scotland. Inspired by the exceptional quality of fresh Scottish salmon, Harry developed a cure that complemented its unrivaled flavor. The deliciously mild London Cure was born and soon it was the talk of reputable establishments around the capital such as Wilton's restaurant which we have supplied for over 90 years with our genuine wild smoked Scottish salmon. A century later H. Forman & Son remains a family concern, the last of the original London smokeries, with Lance Forman, Harry’s great grandson, flying the flag for the famous London Cure. Remaining faithful to principles established in 1905 – the freshest salmon, a little salt, just the right amount of oak smoke – he is upholding traditional values and skills that would otherwise have died out long ago, along with one of gastronomy’s finest foods: H. Forman & Son’s Genuine Wild Smoked Scottish Salmon. H. Forman & Son is, and will always remain, a smoker and wholesaler of salmon. London Cure Smoked Scottish Salmon is the signature product. Quite simply, there is no finer smoked salmon in the world. Why? Because no corners are cut. within 48 hours of harvest. As soon as it arrives it is cleaned, split and trimmed entirely by hand whereas most smokehouses use machines which damage the flesh, give lower yields and cannot handle the firm flesh of very fresh fish. Small amounts of rock salt are then sprinkled over each fish, again by hand, to dehydrate the flesh. During salting a side of salmon can lose up to 15% in weight over 24 hours so less reputable producers have been known to inject brine to increase weight (and margins!) then disguise the saltiness with sugar. Such deception is anathema to Lance Forman and his team. Consequently, H. Forman & Son smoked salmon is the healthy option, with no added sugar and only 3% salt content, as opposed to 5% in many cheaper brands. After salting, with bones left in to enhance flavor, whole sides of salmon are hung by hand in traditional style ready for smoking. Hanging allows the smoke to circulate freely and penetrate the stretched pores of the flesh. Controlling smoke is vital. Too much smoke and the subtle flavor of the salmon is overpowered. H. Forman & Son’s expertise results in a perfect blend of air-drying and dehumidification with precise quantities of smoke produced by friction-burning oak logs sourced from sustainable forests. Two different methods are employed – coldsmoking and hot-smoking. London Cure Smoked Scottish Salmon is cold-smoked, but salmon also takes well to hot-smoking, as do many other fish. Both methods require a high level of expertise. The key to cold-smoking is the drying whereas with hot-smoking moisture retention is paramount, and it is this intuitive understanding of smoking principles, refined over the last 100 years, that ensuresH. Forman & Son’s full range of traditional smoked fish remains unsurpassed. Whilst much of H. Forman & Son smoked salmon is dispatched from the factory as whole, untrimmed sides straight out of the kilns, wrapped in greaseproof paper, the rest undergoes further attention. Trimming, pin-boning and carving by hand is a labour-intensive process employed for good reason: it makes a huge difference. Cheaper sliced smoked salmon is often sold untrimmed with the pellicle (the hard and chewy outer crust that forms during smoking) left intact because it adds to the weight. H. Forman & Son smoked salmon, on the other hand, is supplied with the pellicle removed for a far superior taste. Slicing by hand – D-cut or banquet slices (lengthwise), according to customer preference – also enhances taste because the slightly uneven surface of each slice releases more flavor. Lance Forman likens this to eating ready-sliced bread as opposed to a loaf sliced by hand at home.